Meet me -- SHREYA: Sixth Sense !! Just a week before the September 11 attack, one North Carolina mother dreamt about spinning into blackness and heard a man's voice repeating '2,830, 2,830' and a name she couldn't make out. 'It sounded like Rooks or Horooks,' she said. Disturbed by the dream, the woman cancelled tickets the family had to fly to Disneyland on September 11, despite protestations from her husband that she was over-reacting. Most bizarrely, 2,830 - the number repeated over and over in her dream - was the confirmed tally of deaths at that time. And the name - 'Rooks or Horooks?' - was that of Michael Horrocks, first officer of United Airlines flight 175, which crashed into the South Tower. It is not the only incident to happen that could be merely refuted as coincidence but major incidents like September 11 triggered a series of such paranormal sixth sense or extrasensory perception (ESP) events. Interestingly, the vacancy rate on all four flights that crashed on September 11, 2001, was high. The occupancy rate of all four doomed planes that day was a mere 21 per cent - despite being commuter services. Sometimes, premonitions allow the person to pinpoint a specific time and place, leaving the dreamer enough time to alter the course of the disaster. The ability to acquire information by paranormal means is popularly believed to be possessed by everybody on this planet. Astrologer Bejan Daruwala believes, "Intuition is the power that takes a person from the known into the unknown." Astrologers are also known to predict the future by relying on the powers of this sense. "People who have strong intuitions about things generally have a strong influence of Moon and Neptune in their life," Bejan says. Sean Clarke who studies spirituality explains " The subtle world is made up of five cosmic elements (earth, water, fire, air and ether) which cannot be seen. Though we cannot perceive this world which impacts our lives to a great extent, we can tune into it using our 'spiritual antenna' i.e. our sixth sense (ESP). The spiritual level of a person is one of the key factors in deciding which person receives knowledge from the subtle. Other factors include: motivation and intense yearning of the person, necessity for God's mission, resolve and blessings of a spiritual guide beyond the 70% spiritual level, and destiny of the person. " In the normal evolutionary process humans have gradually developed the art of avoiding the impending dangers to come, most of the time studies have recorded that dreams or feelings of holocaust events are related to our most loved ones, it is when an intense feeling or anxiety runs inside a person and a state of urgency is acted upon. Dreams, visualisations, death indicators, feelings of spirits or even reincarnation are all associated with ESP. In India the concept of reincarnation is recorded in detail within the Upanishads (c. 800 BCE), which are philosophical and religious texts composed in Sanskrit. Many sacred scriptures records incidences which involve sixth sense like the famous character of Sanjaya in Mahabharata who according to scholars was temporarily endowed with the powers of intuitive cognition or second sight (remote viewing) so that he could ascertain the events and dialogues of the battlefield. 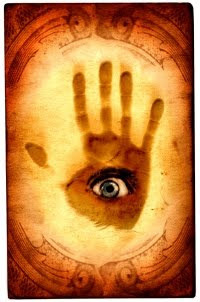 Sixth sense is believed to be a strong possession of the physically challenged people and animals too. A blind man in Britain claims to see future and scientists on brain mapping have found certain brain parts extremely active compared to a normal eyesighted man. But differing to this a Mumbai based doctor claims " Most people with perfect vision pay less attention to senses like sound, smell and touch in their daily activities. But in case of blind people since vision is completely lost they automatically start adopting, practicing and relying on other body senses. Since blind people are left with no choice they work harder to adopt these alternative senses. This is not a sixth sense else a result of determined hard work and continuous practice. " 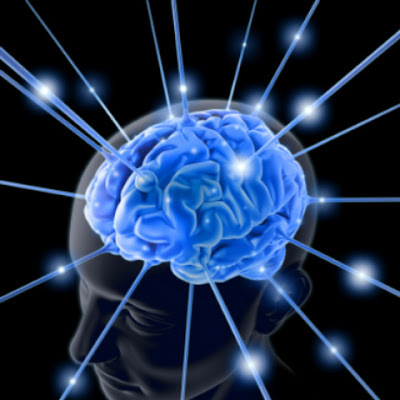 But Science does have references to ESP and has categorically differenciated them like telepathy refers to mind-to-mind communication, clairvoyance is the ability to see things not available by known senses, precognition is the power to foresee future events, retrocognition is the strength to see past events and psychometry is the power to know the history of an object. For those who believe that beyond our senses exists a different world there are lot of examples. Like radio waves, where we cannot perceive things with our five senses. Certain high and low pitch voices are there, which only the dogs, elephants or insects can hear. It took years of research to prove that there exist things called "germs". These are beyond the purview of the five basic senses. We cannot see, taste, feel, hear or smell germs on our hands. Animals too are believed to have a sixth sense, which alerts them about calamities before time. A strange incident happened with Anita Desai (name changed), a resident of Virar. Her mother was in the last stages of cancer. One night their pet dog, Wendy, suddenly started howling. Anita says, "Wendy had never done that before. I thought he was hungry so I went out to give him some food. But when I came back, my mother was dead. Perhaps, Wendy had seen it coming. Wendy was very close to my mom. When she died, he ran away from home next morning and did not return." Refuting Varkha Chulani, clinical psychologist says, "Animals are naturally equipped to read changing signs in the environment, such as before earthquakes. Sixth sense has got nothing to do with it." According to her one's gut feeling is based on intellect and past experiences. "Believing that intuition is some kind of a power, shows the gullibility of people," she says. The intuitive human mind wants empirical evidence for all the traits. However every person has experienced sixth sense at some point or other during his or her lives. The degree varies from individual to individual. It is still not known how the sixth sense operates. The research to prove the existence of sixth sense is going on. For verification, the phenomenon must be measurable and repeatable. The drawback with sixth sense is that it is impossible to repeat experiments with it. The more the person attempts to use his sixth sense, the less it seems to work. Believing on one's gut feelings has produced tremendous results for many how it will work in your and my case is still not know, many be we need a silent time with ourselves to hear our inner voice speak or dream. Till then as we have to trust the words of this genius Albert Einstein who believed, "There comes a time when the mind takes a higher plane of knowledge but can never prove how it got there." May be we will be able to prove it someday. Indian psychologists are actively involved in paranormal studies. I'm still new to everything. Do you have any points for inexperienced blog writers? I'd genuinely appreciate it.